Lot Size: n/a "Corner, Lrg. 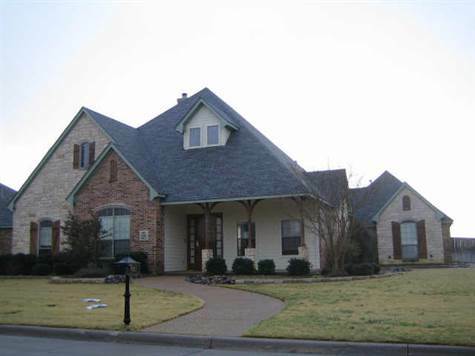 Backyard Grass, Subdivision"
Very nice custom built home with good floor plan & spacious rooms. Other room is 10x08 sitting area with built in desk in master. Kitchen has stainless steel appliances. Hand scraped wood flooring in entry, formal dining, kitchen, breakfast & family rooms. Home backs to very private setting of pasture land with stock tank. The office or study downstairs has a large walk in closet that can make a nice 5th bedroom if needed. Inground diving pool!